Sorry, folks, this AWESOME event is all filled up. Stay tuned for more awesome Shenanigan Events! Was it Colonel Buster in the Rumpus Room with a juggling club? Bring your sweetie or best bud (singles also welcome!) 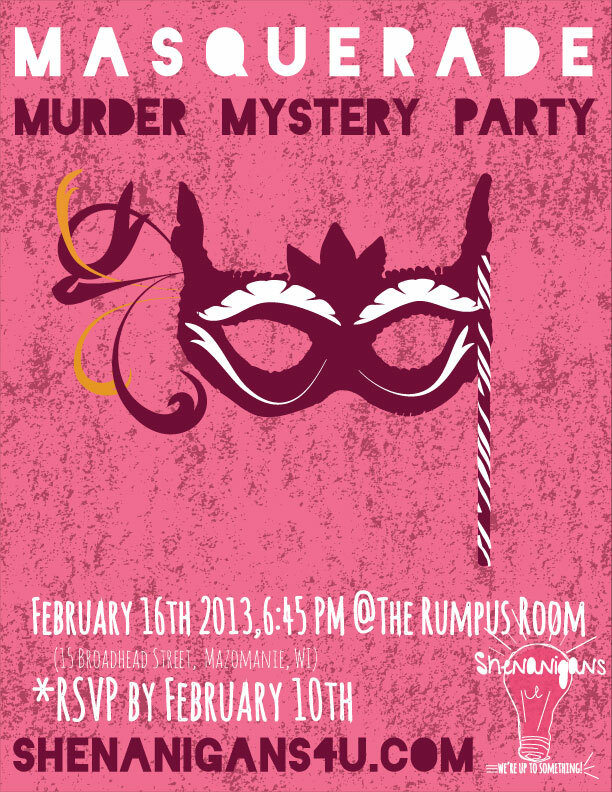 to Shenanigan’s Masquerade Murder Mystery Party on February 16, 2012 at 6:45 PM! It’s only $20 each or 2 for $35! Pay at the door. Register NOW to be a part of this hilarious event that will include costumes, food, beverages, and all kinds of crazy shenanigans!